Can You Travel to Canada with a DWI? One of the most common impaired driving offenses in the United States, DWI stands for driving while intoxicated or driving while impaired. Many people consider driving while intoxicated (DWI) and driving under the influence (DUI) to be the same offense, and think the only difference is the actual acronym used. While this is sometimes the case in states that only use one term or the other, such as in New York where drunk drivers are always charged with a DWI, not a DUI, in jurisdictions that classify them separately, DWI is often the more serious crime as it denotes a higher degree of impairment. Any resident or citizen of the United States that has a DWI conviction on their criminal record may be deemed criminally inadmissible to cross the border into Canada unless he or she has been issued special governmental permission. Attempting to enter Canada with a DWI may result in a denial of entry if you do not have this permission on your person. The Canadian border has full access to the FBI criminal database and local DMV databases, so any conviction for driving while intoxicated or driving while impaired will always be available to them. Since there is no presumption of innocence for the purpose of Canadian immigration, you can become ineligible to travel to Canada as soon as you are arrested for DWI even though you have not yet been convicted. There are two ways to get government approval for DWI entry into Canada; a Temporary Resident Permit and Criminal Rehabilitation. A Canada Temporary Resident Permit, also called a Canada TRP, allows a person who has been convicted of driving while intoxicated to overcome their criminal inadmissibility and enter Canada for an established period of time. Canada TRPs can be issued for up to 3 years, and a multiple entry TRP can permit a person to enter and exit the country several times during this time span. Canada Criminal Rehabilitation is a permanent solution that can allow a traveler to visit Canada with a DWI for the rest of their life, but takes upwards of a year to obtain, and eligibility requirements include having completed your full sentence at least five years prior. Have a DWI and want to enter Canada? Phone our legal team now for a free extensive consultation. Why Does a DWI Make Me Inadmissible? Many people are shocked to learn that a DWI can exclude them from traveling to Canada. When determining whether or not a criminal offense can cause a person to be denied entry when crossing the border, it is the Canadian equivalent that matters not the actual US violation. For this reason, even a misdemeanor DWI or reckless driving charge can exclude an individual from the country because the equivalent law north of the border can be an indictable offense. If you were arrested for driving while intoxicated (DWI) but the charges were dropped by the prosecutor, or you were found not guilty of the offense in court (no conviction), you may be admissible to Canada but could need to prove the favorable outcome to Canada Border Services Agency (CBSA) officials if they see the initial arrest on your file and ask about it. Documents proving the final outcome should also be carried by anyone driving or flying to Canada after being enrolled in a conditional discharge or diversion program because of a DWI. If you are traveling to Canada for business, you may also consider having a Canadian immigration attorney write you a legal letter of opinion stating to border guards why you should be permitted entry despite the D.W.I. arrest showing up. Documentation proving you were not convicted of the offense and are no longer awaiting trial is normally enough to satisfy officials at the Canadian border, but when it comes to traveling for work you can never be too cautious. At the end of the day, the onus is always on you to justify your admission into a foreign country, and a legal letter of opinion can help do this on your behalf. Successfully crossing the Canadian border with a DWI arrest on your record is ultimately up to the discretion of border guards, so you must be able to eliminate any confusion your DWI arrest record causes in order to guarantee admission. It is possible to get a DWI in the following states: Alabama, Alaska, Arizona, Arkansas, California, Colorado, Connecticut, Florida, Georgia, Indiana, Iowa, Kansas, Kentucky, Louisiana, Maine, Maryland, Massachusetts, Minnesota, Mississippi, Missouri, Montana, Nebraska, New Hampshire, New Jersey, New Mexico, New York, North Carolina, Oregon, Pennsylvania, South Carolina, Texas, Virginia, Washington, and Wisconsin. Some of these states charge everyone caught drinking and driving with a blood alcohol content (BAC) above 0.08 with DWI, while in other states police can charge the individual with either a DUI or DWI depending on the circumstances. If the driver is intoxicated by an illegal drug like marijuana or MDMA, prescription medication such as painkillers, or even over the counter sleeping pills, they can still be charged with driving while impaired (DWI) since the law is not alcohol specific. Any drug that can affect a person's muscles, brain, or reflexes as to impair can render a person too intoxicated to operate a motor vehicle. Driving while impaired is the most common type of crime in America, and more than 1.3 million people are convicted of the offense each year in the United States. Due to how commonplace DWIs are, it can sometimes seem unreasonable that Canada would ban people from entering their country for such a common crime. For this reason, a lot of people search things such as "can you enter Canada if you have a DWI" online because when friends and family mention that a D.W.I. can pose a problem at the border they simply do not believe it and consider the idea absurd. Although Canada DWI entry can be a challenge if you show up at the border unprepared, planning ahead and applying for a TRP can make it fairly easy. Like many countries, Canada is simply trying to protect their society from foreign nationals who are criminals and could potentially pose a threat. It is easy to understand why the nation is hesitant to permit foreigners with violent or sexual offenses into their country, but because the country treats driving while drunk as a very serious offense entrance for people with a DWI on their criminal record can be restricted as well. Criminal inadmissibility can impede eligibility across all Canadian immigration programs, which means that immigration to Canada with a DWI may first require Rehabilitation. Does the State in Which the DWI Happened Affect Admissibility? Although the exact language of DWI laws can vary from state to state, the Canadian equivalent is almost always a hybrid offense which can render the person inadmissible to Canada. This means that a California DWI, New York DWI, Washington DWI, Florida DWI, and Texas DWI are all treated essentially the same at the border, and without special permission a DWI from these states or any other US state can lead to a person being denied entry to Canada. Some states do not enable a person to expunge their DWI, however, which can indirectly affect their admissibility to Canada. Once you get a DWI expunged you may no longer require a TRP to fly to Canada, but if the incident occurred in a state that will not permit an expungement this option is simply not possible. Not all expunged DWIs are treated as non-convictions under Canadian law as well, so always discuss your situation with a qualified attorney before attempting to cross the border. Most DWI statutes have three prongs that need to be proven to secure a conviction. The first prong is that there must be operation, the second prong is that there must be impairment, and the third prong is that the impairment must be from either alcohol or drugs. A driver does not need a blood alcohol content above 0.08 to get a DWI; if the police officer determines the individual is impaired due to alcohol or drugs he can make an arrest regardless of whether or not the driver has a B.A.C. above the legal limit. If the driver submits to a chemical test and has a BAC over .08%, the statute simply presumes they are impaired even if he or she did not show any signs of intoxication (this is called a "per se" violation). 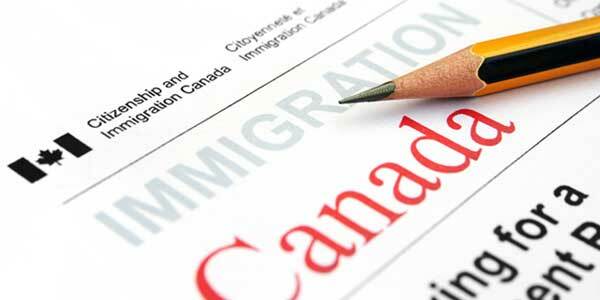 How Long After a DWI Can I Go to Canada? A person may be able to travel to Canada immediately after a DWI provided they have been granted a Canadian TRP. If you require urgent entry to Canada with a DWI because of an emergency, you can apply for the waiver directly at the border even if you have not yet been convicted of the offense (people with a pending DWI may not be permitted in the country without permission). Before December 2018, if you only had a single DWI on your criminal record, you could be "deemed rehabilitated" ten years after you have finished your entire sentence and allowed back in. At that time, to be free to travel to Canada an American could simply bring his or her court documents to the border to show that all sentencing including attending any mandated alcohol or substance abuse courses and payment of all fines was cleared up at least a decade prior. In December 2018, the laws changed and a DWI became a serious crime in Canada punishable by up to ten years of incarceration. Due to this change, a DWI no longer qualifies for automatic Deemed Rehabilitation and could cause a visitor to be denied entry even after ten years have passed. Americans who were considered deemed rehabilitated by virtue of time before December 18th, 2018, when the new laws were implemented may still be able to enter without a TRP or Criminal Rehabilitation, but should always discuss their situation with a Canadian immigration attorney first. If you have more than one DWI, or you are a felon, automatic rehabilitation may never occur, and your only option may be to apply for Canada Criminal Rehabilitation. This means that if you have more than one DUI or DWI on your record, or a single felony conviction, you may be denied entry to Canada even 20 years later. Peace officers have a myriad of roadside tests they can perform to determine if a person is driving while visually impaired. If you are driving while visibly intoxicated you can go to jail even if your blood alcohol level is below 0.08%. Being condemned for driving while inebriated can also result in a revocation of driver license for a minimum of one year, a $500 driver responsibility fee, and possible vehicle immobilization. Interested in going to Canada with DWI? Contact us today for a free consultation to discuss your options.